Greetings from Ranchland Republican Women! We appreciate you stopping by! All Republicans are welcome to JOIN US! Meetings & Events... Mark Your Calendar & Come Participate With Us! 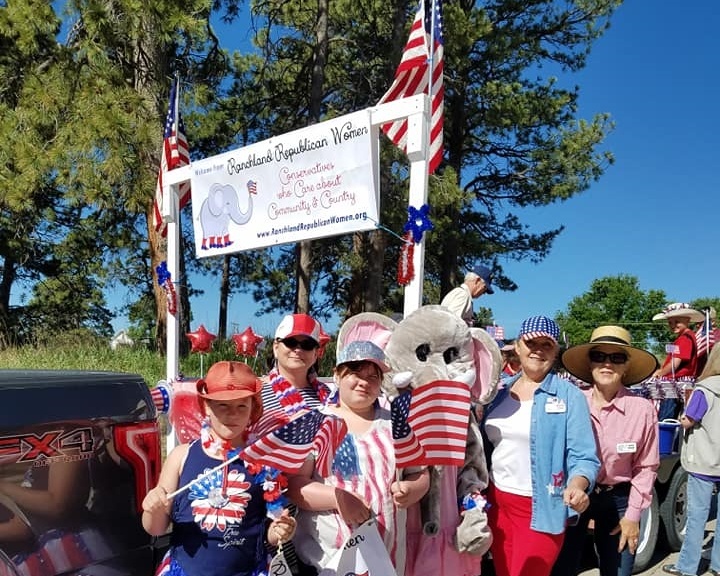 Ranchland Republican Women's slogan is, Conservatives who Care about Community and Country! To put those words into actions we gather together to meet, plan, organize and then we get out there and we participate (or lead) important, political, educational or just plain fun area events. Come when you can... Help where you can... Do what you can! Membership is only available to Republicans, however if you are an Independent, you are welcome to attend our meetings and learn about us and about Conservative values and principles. 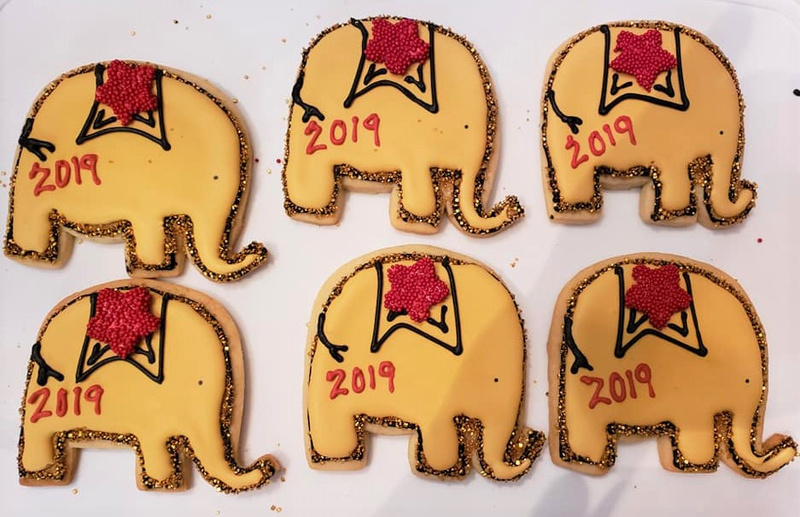 How about some Republican & Colorado Cookies? We say YES & we say YUMMY! 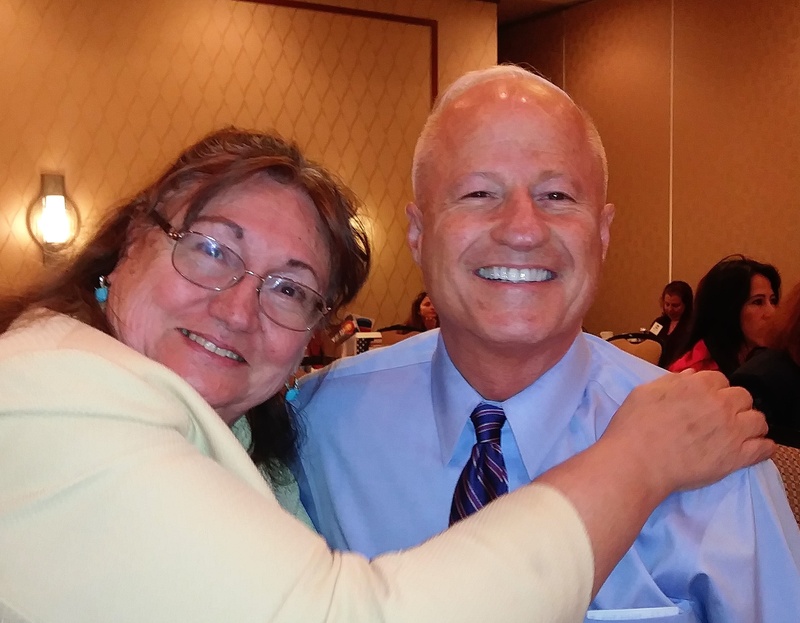 Fun photo of long time friends, Mary Steen and Congressman, Mike Coffman. 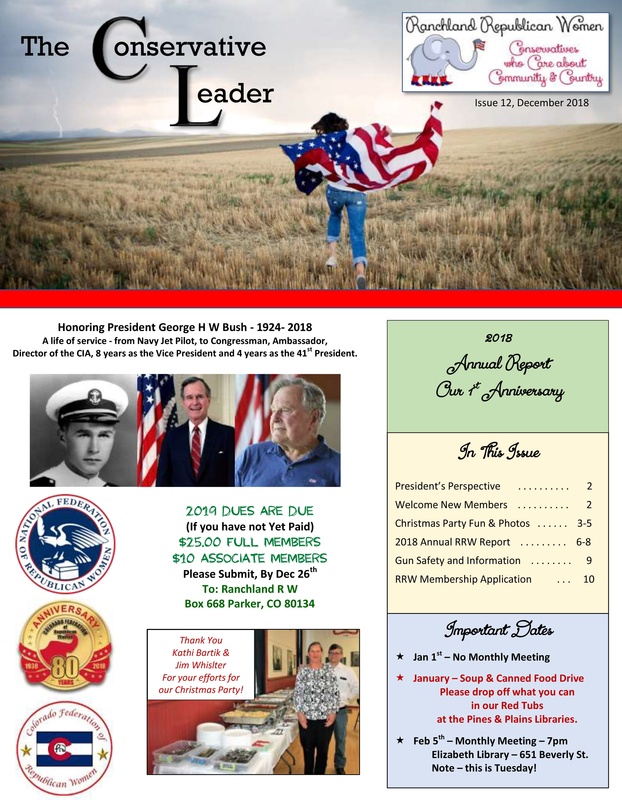 Taken at the 2018 Colorado Candidate Showcase, hosted by Ranchland RW and supported by the Colorado Federation of Republican Women and the Colorado GOP. Led by Mesa County Commissioner Rose Pugliese and Monument Mayor Don Wilson to stop SB 42, from allocating our Presidential Votes to the National Popular Vote (in essence giving them away)! Working to protect Colorado and keep it from becoming California! 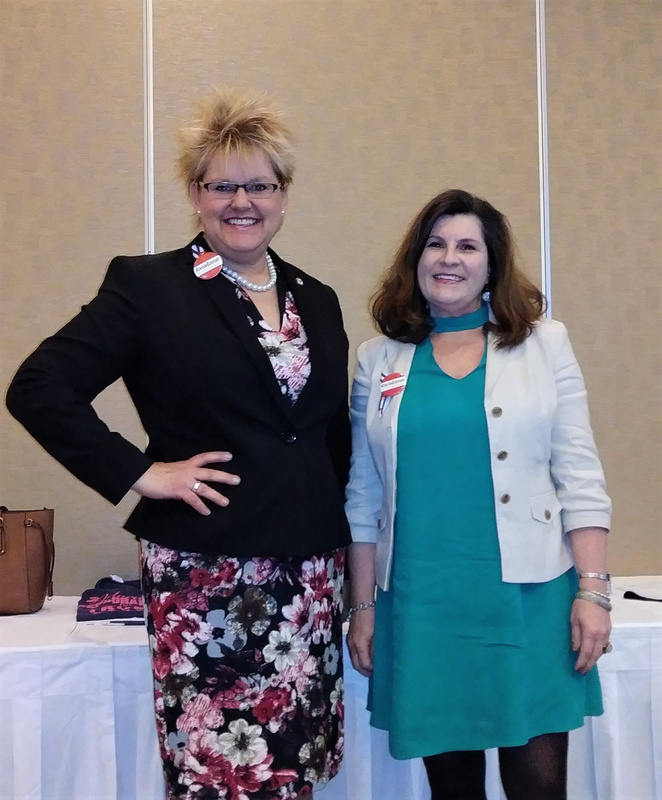 Photo on the right of Brita Horn and Brenda Stokes who spoke enthusiastically to CFRW! Ranchland Officers, L to R, Marlene Groves, Jackie Tugwell and Karen Shipper. A good team that attended and worked the CFRW 2019 Spring Board Meeting & Convention. (Hosted by Ranchland RW). Jackie Tugwell, Ranchland RW Treasurer, has been appointed as the CFRW Centennial Chair. Look at these festive cookies which were a special treat for the CFRW Centennial Club Members! YUMMY! 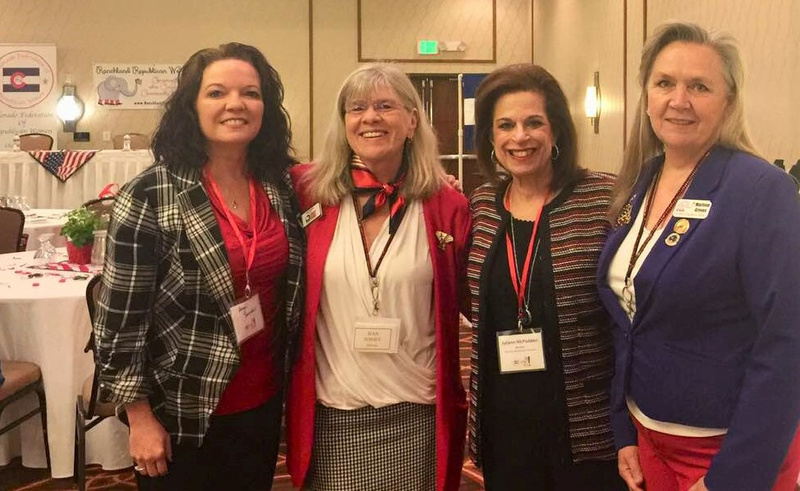 Marlene Groves, Ranchland RW President, on the right, was honored to be voted in by the CFRW Membership, at the 2019 Spring Meeting as a Delegate to NFRW. To send us a fast payment click the PayPal Button below and you can pay by Credit Card or PayPal.